Almost all of the world’s great cities have large, pedestrianised city centres. Boston spent years and billions rearranging the city to keep cars out of its centre, Chicago has its underground city, and London’s Soho and Covent Garden areas are full of bustling streets, vibrant businesses and tourist attractions. It is especially surprising that in Asia’s World City, where less than a fifth of the population own a car, the four fifths who don’t own cars are squished on to narrow pavements and forced to breathe the pollution emitted by cars belonging to the one fifth. This is unpleasant for locals and tourists alike. Hong Kong is certainly capable of urban innovation. We have the Central-Mid-Levels Escalator and a waste compacting plant in a giant cave under Mt. Davis. But pedestrian precincts are few and far between: There is one part-time pedestrian area in Causeway Bay, presumably for those who are pedestrians only part of their time, and another in Mong Kok. In addition, there are streets here and there that, although not designated as such, are in effect closed to traffic because of street markets. 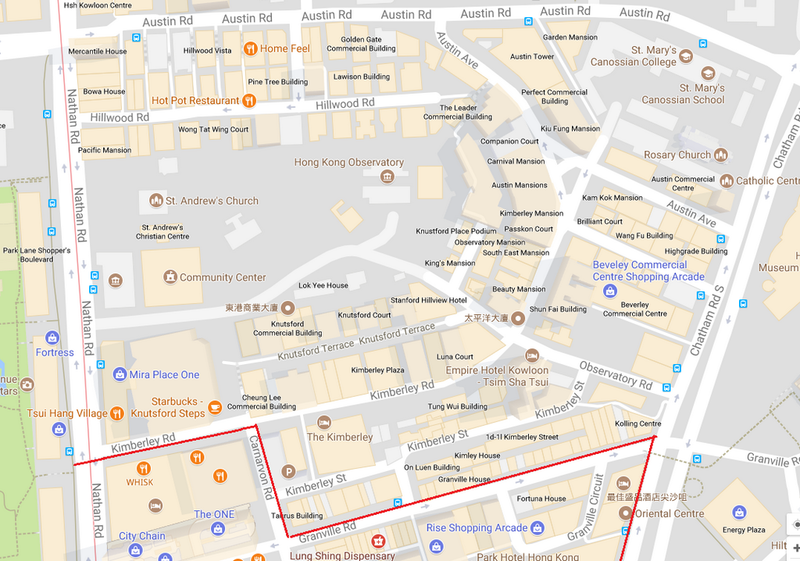 So more pedestrian precincts in Hong Kong would materially improve our lives, improve the experience of being a tourist and, to judge from the experience in other cities, give a fillip to local businesses. The problem is: Where? Nearly everywhere on the island is in on the way from somewhere to somewhere else, and re-routing through traffic would be a major issue. But Tsim Sha Tsui (TST) is self-contained in a way that almost no other old part of Hong Kong is. It’s full of good stuff for tourists and locals alike – shops, restaurants, hotels, museums. Unlike say, Causeway Bay or Mong Kok, it’s not on the route from somewhere to somewhere else; TST is a destination, not a transit point. So the traffic impact can be more easily predicted and managed. And what traffic there is has an impact. TST is unpleasant. Drivers trawl around in constant traffic jams, pedestrians are constantly ducking cars, buses and the usual vehicular idiocy. The pavements are jam-packed and the street-level pollution is awful. What should be a fun experience is a chore. So, for both positive and negative reasons, TST is begging to be pedestrianized. Here, courtesy of the omnipresent Google, is TST. First: Why these boundaries? The thought is this: In order to get people (and vehicles with permits) in and out, it makes sense to allow vehicular access on all sides. The circuit formed by Chatham Rd, Salisbury Rd and Kowloon Park Drive/Canton Rd, and the existing bus terminus at the Star Ferry, does this. This circuit already has numerous bus stops served by many routes. It has three MTR stations (TST, TST East and Jordan) to ferry people in and out by public transport. And, of course, it has the Star Ferry. Second: Parking. 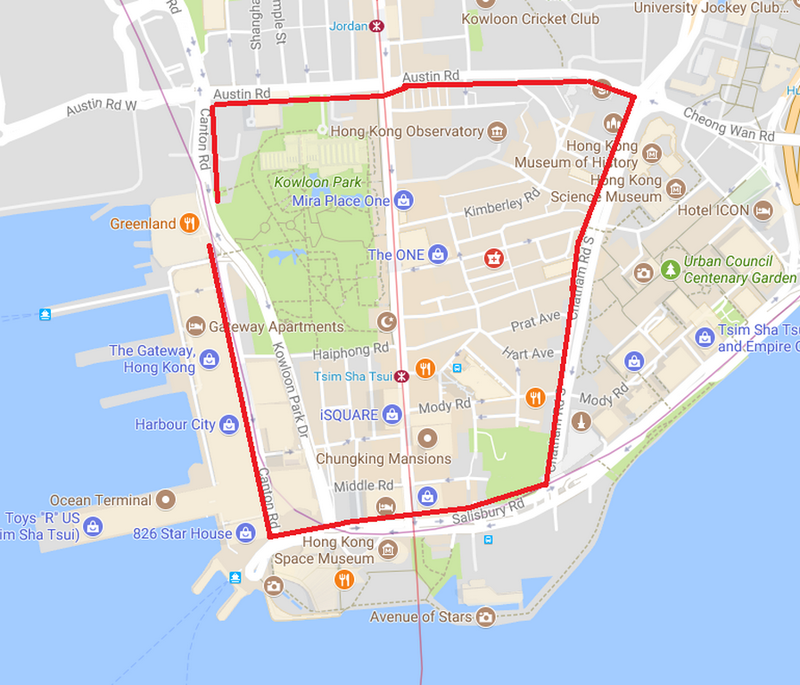 The main car parks in the area are on the roads in the circuit above: Ocean Terminal and Harbour City on Canton Rd, the new New World Centre on Salisbury Rd., and many in TST East on Chatham Rd. The second is the much larger car park in the basement of Miramar Tower on Nathan Rd, of which more is to come in a moment. I suggest they go under Kowloon Park. Hollow out a huge, artificial cavern and turn it into a combined car park and public transport interchange. This may sound barmy. 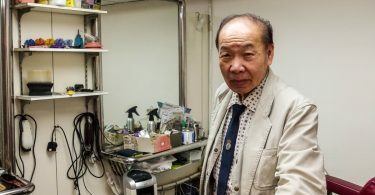 But the underlying geology is rock and, if engineers can fit the South Island and the Shatin-Central MTR lines under Admiralty, and the latter also under Hung Hom station, with (thus far) no disruption, surely excavating a huge hole in the bedrock under Kowloon Park is do-able. It will be expensive – but the advantages outweigh the cost. Proposed tunnel routes. Photo: Chris Maden/Google Maps. Those red lines are intended to indicate tunnels. That little road between Austin Rd and Hillwood Rd that’s so small it doesn’t even have a name would become a steep down ramp into a tunnel that leads to both the Miramar and underground Kowloon Park car parks. The exit would be on to Austin Rd. The Kimberly Rd exit / entrance to the Miramar car park would be shut (and the landlord allowed to convert it at no land premium to valuable retail space). And, yes, there is an MTR line, but tunnelling above or beneath that ought to be possible. Third: Nathan Rd. Be bold! It makes no sense to have a pedestrian area cut in two by a major traffic artery. 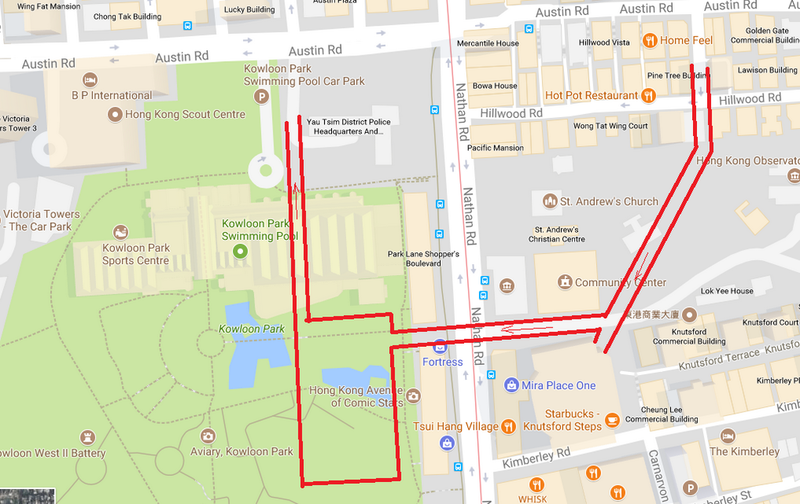 Extend Kowloon Park into the part of Nathan Rd north of Haiphong Rd, and turn the part south of Haiphong Rd into an open mall. Provide covers and sitting-out areas so that it’s pleasant even in rain or strong sunshine. Encourage street food, buskers, that kind of thing. A lot of buses use Nathan Rd. However, Kowloon Park Drive, Canton Rd and Chatham Rd will have much less traffic as a result of the massive car park, so most buses could be re-routed along these. 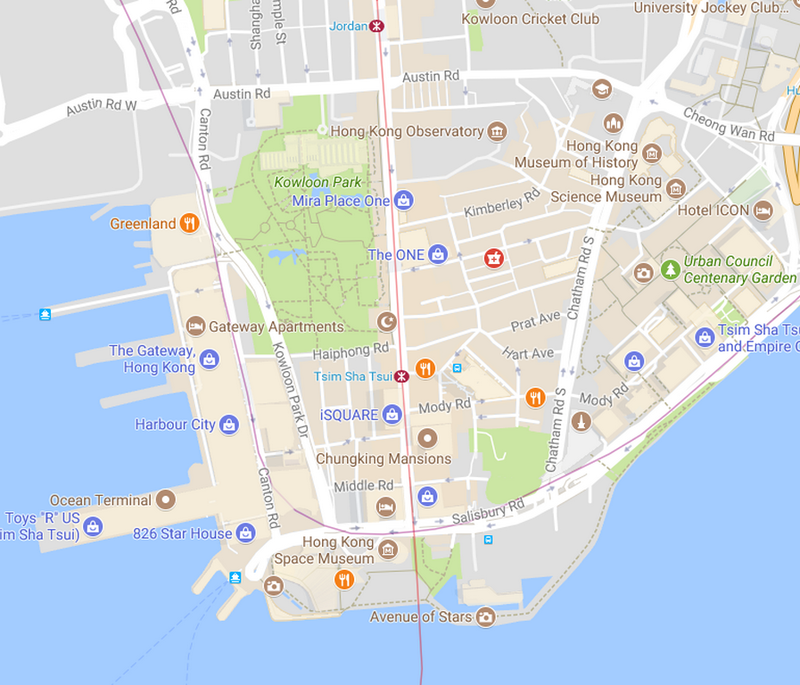 But also include a public transport interchange in that big hole under Kowloon Park so that services could terminate there, beneath Kowloon Park, at the north of the area, rather than at the Star Ferry or the Public Transport Interchange at TST East Station in the south. Rental bikes in the New Territories. Photo: GoBee.bike, via Facebook. 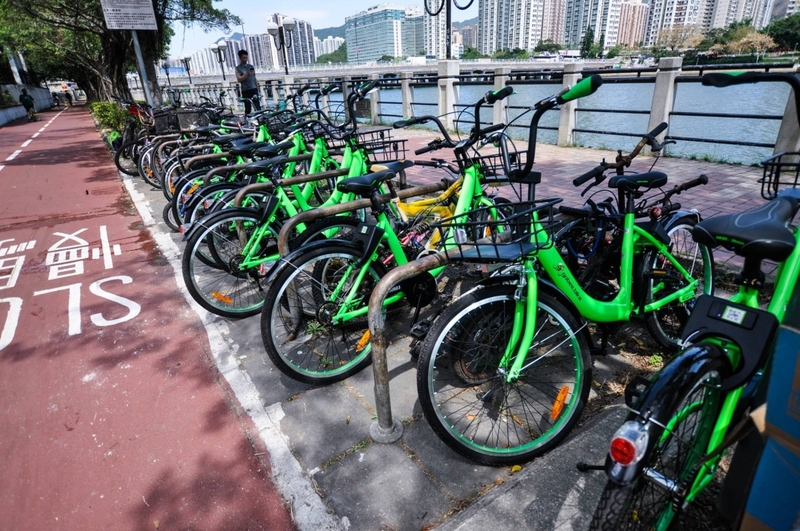 Fourth: Local access within the area can be provided by push-bikes (like Boris-bikes in London), tricycles and, for those with limited mobility, solar-powered golf carts such as the ones used by the Jockey Club in the Kau Sai Chau public course. Again, this is Hong Kong, and these could be franchised. Invite ideas. Fifth: Vehicular access for residents and businesses in the area is surely no problem. All major cities in the West have huge pedestrian precincts, and management of the permitting and limited traffic access that residents and businesses need is a solved problem. Sixth: East-to-west public transport. There is currently no east-to-west public transport within the area. The government once mooted, however, a monorail from Kowloon Station in West Kowloon running all the way to Hong Hum station. Perhaps it’s time to blow the dust off that plan? At first blush, then, it seems that the objections can be overcome. The next step is to turn it into reality. The government, if it were to push ahead, would issue a consultancy for a feasibility study, and the Terms of Reference (ToR) of that study are crucial to getting the idea off the ground. To get control of the ToR, we need to get local residents and businesses on-side, and that means details: It means voluntary time from architects and engineers to flesh out the idea, it means involvement from the District Council to gauge public receptivity, and it means setting up a road-show and a website. 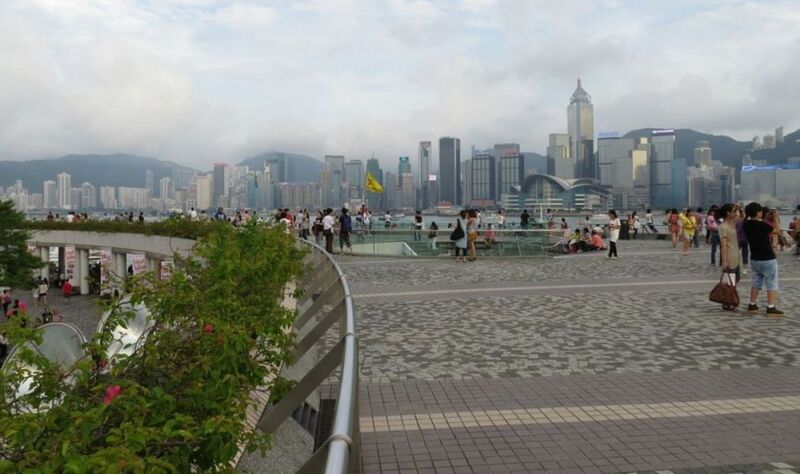 Hong Kong is perfect for pedestrianisation – and it should start with Tsim Sha Tsui. Chris Maden runs a small IT business and is a consultant for central banks in developing countries. 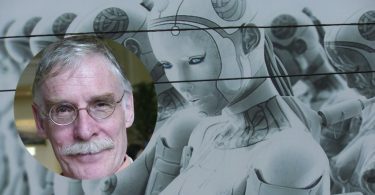 He writes fiction, non-fiction and blogs at chrismaden.com.